Clockparts.com’s Photo Frame Clock Kit (click here) has been a huge hit! 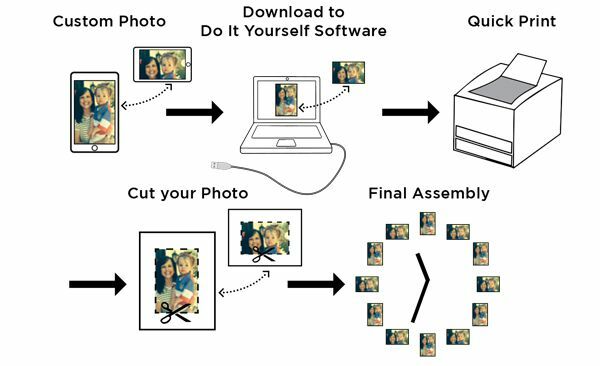 Now, with our DO it Yourself Photo Frame Software you can instantly take your images and download them into our software, customize the look into our template and cut them out. We provide clear and simple instructions to make this process fun and easy! Use your printer with regular 8.5 x 11 paper to print out the background for the clock - works for Portrait or Landscape photo orientations!